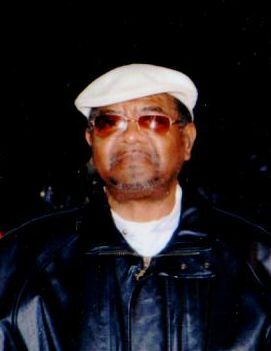 Obituary for Eugene "Shorty" Boswell, Jr. | Jones Clark Funeral Home, Inc.
Mr. Eugene “Shorty” Boswell, Jr., age 65, passed from this life on Thursday, November 15, 2018 at approximately 3:48 p.m. at Kindred Hospital in Lima. He was born on April 12, 1953 in Atlanta, Georgia to Eugene Davis, Sr. and Gloria Boswell. His father survives in Atlanta and his mother Gloria White and stepfather James White survive in Lima. On July 13, 1978 he was united in holy matrimony to Barbara E. Brown, she survives in Lima. Mr. Boswell was employed at Phillips Sylvania in Ottawa, Ohio. He was a member of Only Believe Ministries. Shorty as he was called worked until he couldn’t walk anymore. He worked at every job in Lima as so affectionately expressed. He loved to iron his clothes until they could stand by themselves. Besides his loving wife Barbara he leaves to cherish his precious memory 3 sons; Willie Wilson, Gary Wilson (Diane) and Tremayne Wilson all of Lima. A daughter; Kaitlyn Boswell-Hoyer (Jordan) of Fostoria, OH. 10 grandchildren and 6 great-grandchildren. 3 brothers; Bishop Evans and James White, Jr. (Sabrina) both of Lima. Otis Evans of Sandusky, OH. 5 sisters; Diane Davis, Lillian Jones (Oscar) and Grace Cash all of Lima. Beatrice Davis of Alabama and Angela Davis (Gregory) of Detroit. A host of nieces, nephews, other relatives and friends. He was preceded in death by a sister; Annie C. Davison. Home Going Services will be held on Monday, November 26, 2018 at 12:00 p.m. at New Life Christian Ministries with Rev. Damien Tibbs, officiating. Visitation/Wake will be held on Monday, November 26, November, 2018 at 10:00 a.m. until time of services at 12:00 p.m. also at the Church.